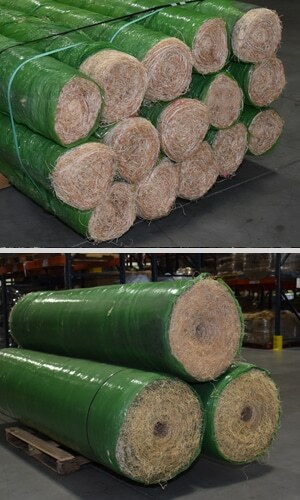 Biodegradable erosion control excelsior netting is designed to actually promote ideal growing conditions for grass seed, while protecting topsoil from wind and water erosion. Wet curled excelsior fibers slightly expand in thickness and interlock to form a strong, fiber matrix and creating a built-in swell factor. 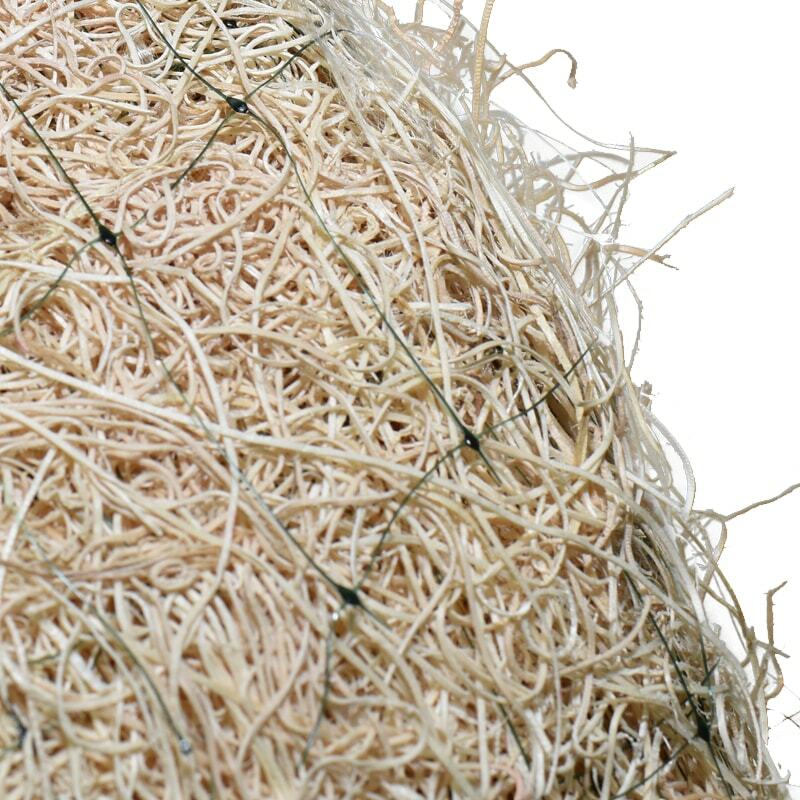 This allows the fibers to have close contact with the area it is placed upon. Basically, the mat clings to the soil with “barbed” fibers to reduce soil loss and strengthen the foundation. Water flow tends to follow the curled fibers while the roughness of the curled excelsior slows the water flow speed to a point where gravity takes over. This allows moisture to slowly seep into the topsoil instead of running off and creating erosion complications. The top of each blanket is covered with a photo-degradable or biodegradable netting. The blankets are naturally seed free and contain no chemical additives. Aspen wood fibers are a renewable resource and act as a mulch providing nutrients to the soil during breakdown. The fibers can be either natural or dyed green for instant color.